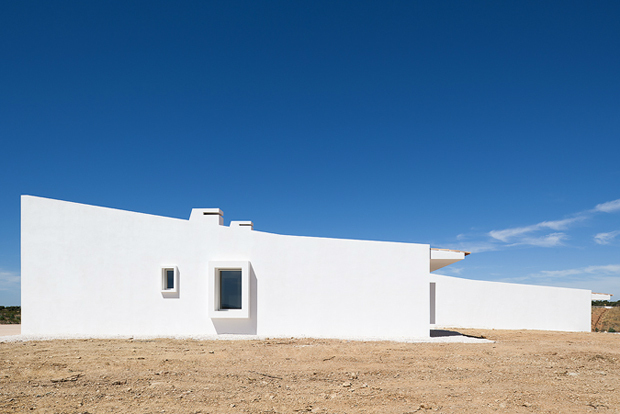 I don’t know if anyone has noticed within our format but I’ve slowly been trying to learn more about architects who operate in warmer climates. 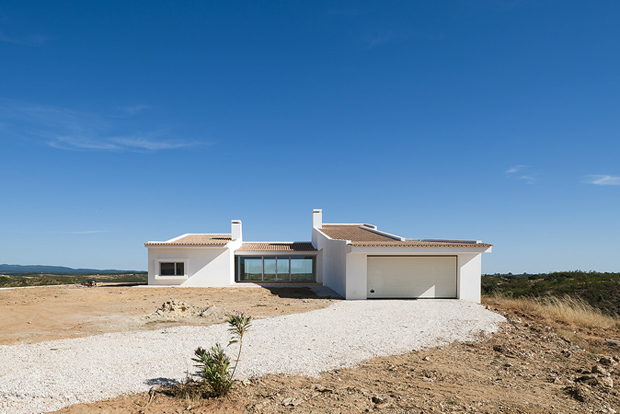 Previously I brought across work from Brazil and today we visit Portugal through this house by architect John Cassian Santos. 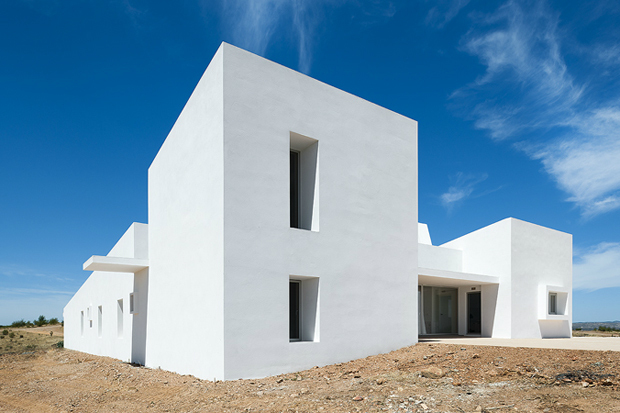 The minimalistic home seen above and below is for the most part completely pure white and can be found in the hill top town of Sepra, where the majority of the homes take on this neutral colour palette. 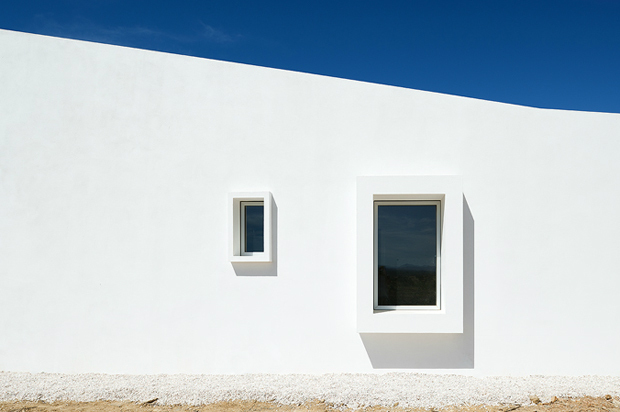 The main reason for this design is the fact a white exterior helps to reflect ultra violet rays of the sun in the summer months, which in turn keeps the house cooler. 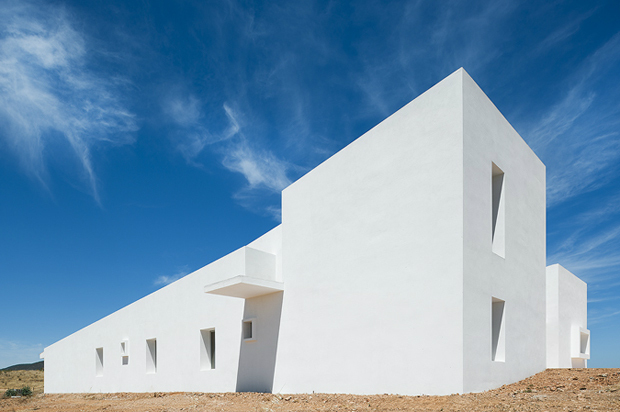 On a visual level though I think the white really emphasises the sleek stature of the house and those great boxy windows too, especially against the deep blues of the summer sky. 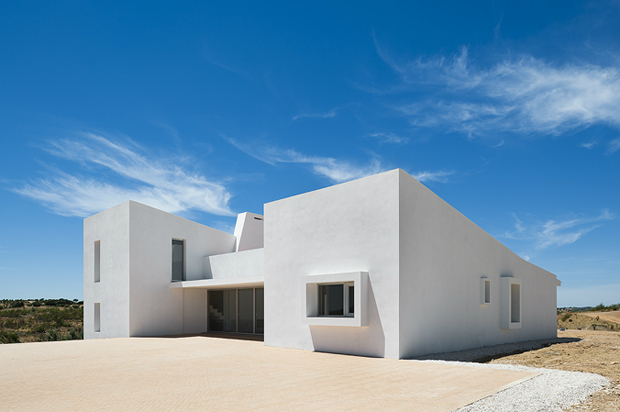 The white is continued inside the home with only the floors, window frames and stairs the notable exception to the rule. 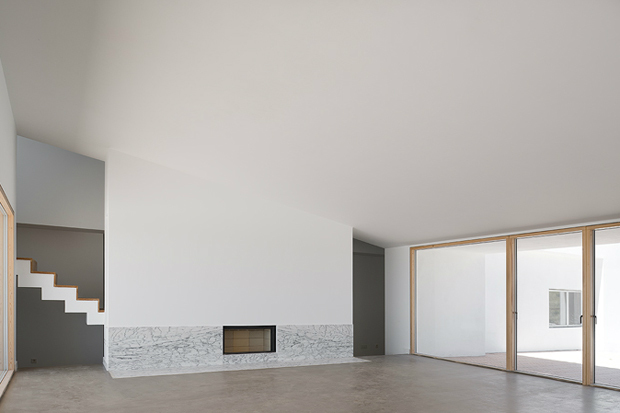 The centre of the house where you imagine the inhabiters would commune mostly is where the house gains the majority of the light with those two walls of patio windows and an open plan layout. I’m sure these allow for a much needed breeze to flow through the house in the height of the hot season, as well as providing enough shade and refuge when the sun gets too much. 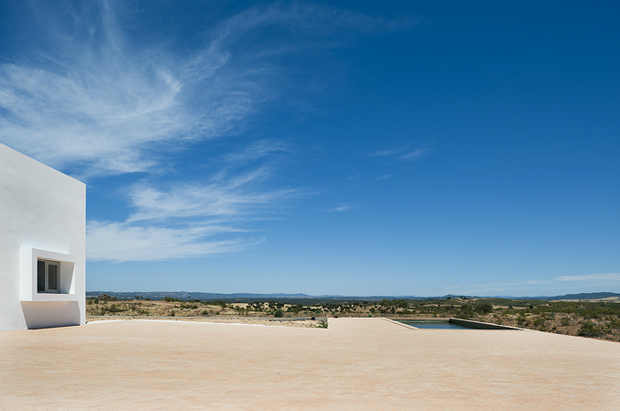 I actually stumbled across this project through the portfolio of Miquel Coelho who is a Portuguese photographer known to specialise in architecture, if you’ve got the time I’d recommend taking in some of his other work as well. It’s always interesting for me to consider the constraints and pluses of working in contrasting environments, I really hope this project encourages a few of you to do the same as well. Enjoy!